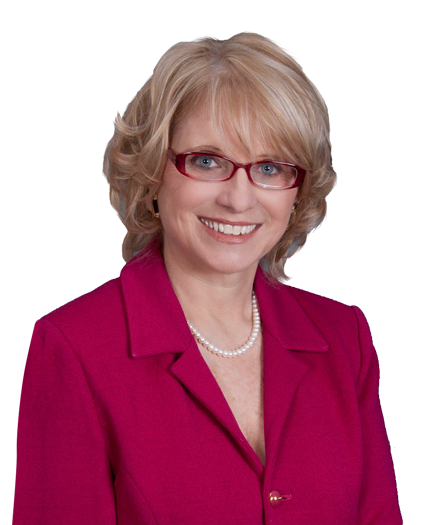 The Competitive Advantage Expert, CEO of Smart Advantage Inc. Regardless of your product or service offering – if you cannot do this effectively, your business is missing the opportunity to maximize sales close rates, market share and brand awareness. 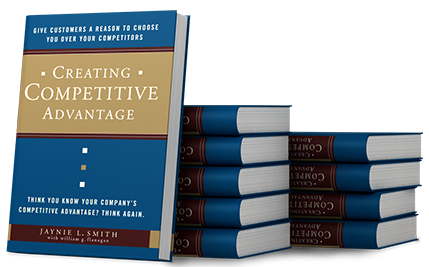 A guide to help your company learn the power of identifying and communicating your relevant competitive advantages to perfect your content marketing strategy and sell value over price. Many companies lament that price pressure has destroyed their margins. But when customers are surveyed in double-blind studies, it is revealed that more than 90% of the time, price is not the most important buying factor. 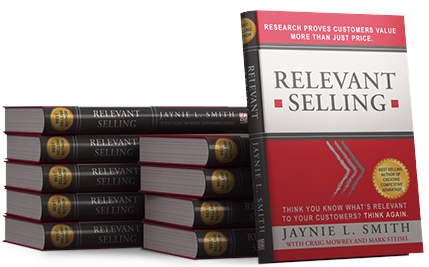 Learn how to discover what is most relevant to your market so that your sales people can stop caving in on price and start selling relevant value. "Having spent the morning at Jaynie’s presentation today at Newcastle, im so pleased i have at least 10 hours to calm down otherwise i would not sleep. I have never, ever received a presentation that has pricked so much inspiration. You mention the AHA moments, well, i found lots during your presentation. I cannot wait to purchase your books as I feel I can learn so much more. 25 years thinking i was good at my job only means after I read you books and indeed implement what you say will make better. I often read, "Who would you like to be stuck in a lift with", my answer now is Jaynie Smith, i could listen to you for ever."